Home » World » USA & Canada » US on the brink of becoming a Third World Country? US on the brink of becoming a Third World Country? 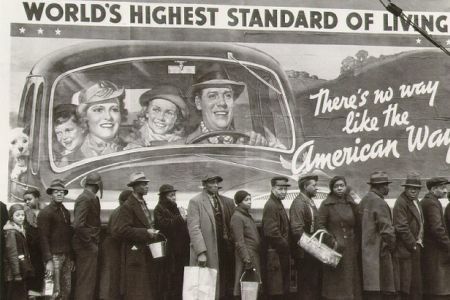 Looks like the American way of Living, popularly advertised as the American Dream is taking a beating right now. There is no way like the American Way, really ?? It used to be, there is no denying that. But more recently during the past decade its debt seems to be increasing at an alarming rate. The unemployment rate seems to be showing no improvement after the recent recession in 2008. In fact its only increasing, now US unemployment rate stands at 9.6%. Its down from Jan 2010 of 10.6% but up from May 2010 of 9.3%. You really can’t trust these official figures. The truth is that things are far worse then they look. In Ventura California — a luxurious resort city — about 20 percent of the residents are at risk of homelessness. The once-rich, who have lost their homes, are now forced to sleep in their expensive cars parked in the city’s corners, Captain William Finley, the head of the local branch of the Salvation Army said. He further added that during the past months, the number of people taking advantage of the organization’s free meals program, has doubled. Many drive up in their BMWs to receive free food, he went on to say. Another signal that marks the demise of America’s so-called greatness is the disappearance of the middle class. During recent years, the gap between the rich and poor has increased at a staggering pace, systematically wiping the existence of the middle class from America. Income inequality in the US has reached a stage where only one percent of Americans own as much as 37 percent of the total national wealth. That means that if an average CEO earned 30 times as much as an ordinary worker in 1950, today he would own 300 times as much. So far, US politicians have failed to come up with solutions to the growing crisis. “The lights are going out all over America,” Nobel economics laureate Paul Krugman wrote last month. This is due to the fact that many US residents can no longer spend money because they have no savings. As a result, many state and local governments are faced with enormous budget deficits. In Hawaii, schools are closed on some Fridays to save the state money. A county in Georgia has eliminated all public bus services and in Colorado Springs, a city of 380,000 people, a third of streetlights have been shut off to save electricity. In fact, the United States, which is in the wake of a huge debt crisis of above 90% of GDP, is threatened by a social Ice Age more severe than anything the country has seen since the Great Depression.